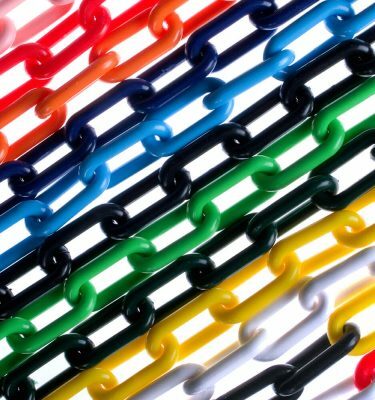 On this page you can select a free chain sample so that you can check the quality of our plastic chain and diamonds for yourself rather than just taking our word for it, all of our chain is made from high quality polypropylene and is UV stable to help resist fading and becoming brittle in strong sunlight. We also have our product brochure available which again is free of charge and is a very handy reference point for contractors who wish to have some product details/images to hand when discussing ideas with potential clients. 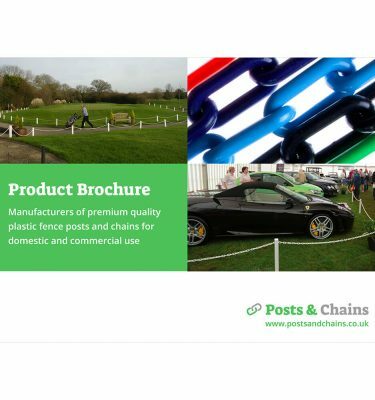 This brochure lists all of our post and chain products and with some basic information/images, further detailed product information, images and prices can all be found on this website. All of the samples of plastic chain and diamonds are free, as are the product brochures. The only charge is a small amount towards the cost of p&p. Please click on any image for more information or to purchase the item you are interested in.